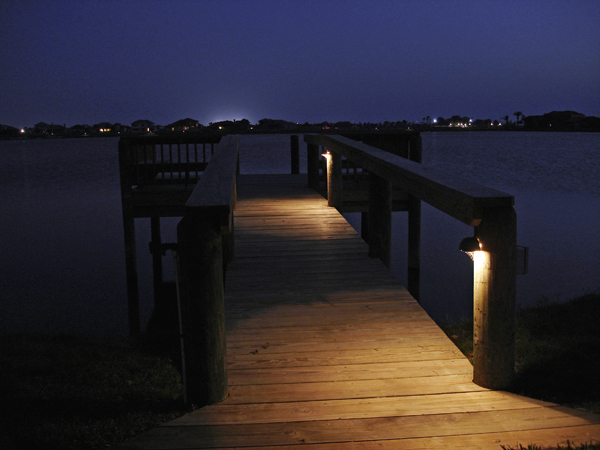 See how LED outdoor lighting can add magic to your home and landscape for all seasons. Have you ever looked at your outdoor lighting system and thought “I really wish I would’ve chosen an LED system instead”? 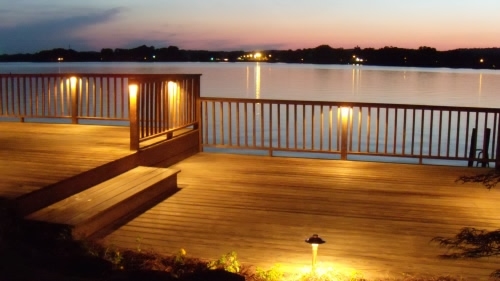 This may be the case with many homeowners who either did not get on the boat with LED when they initially had their existing lighting installed, and those whose existing system was installed at a time when LED outdoor lighting was not as accessible. The good news is all is not lost. Converting your existing outdoor lighting system to LED is a viable option for many homeowners and it also means you can enjoy the many benefits of LED without having to start from square one. After hearing this good news, you are probably asking where do I start? First, your system will have to be inspected to see if LED conversion is possible. Most traditional outdoor lighting systems such as halogen and incandescent can easily be converted to LED. Your outdoor lighting professional can inspect your existing system and determine if your system is a candidate for conversion. Once your system is deemed fit to undergo the conversion, you can start enjoying the many benefits of LED outdoor lighting. LED outdoor lighting systems consume 80-85% less energy than traditional outdoor lighting systems. 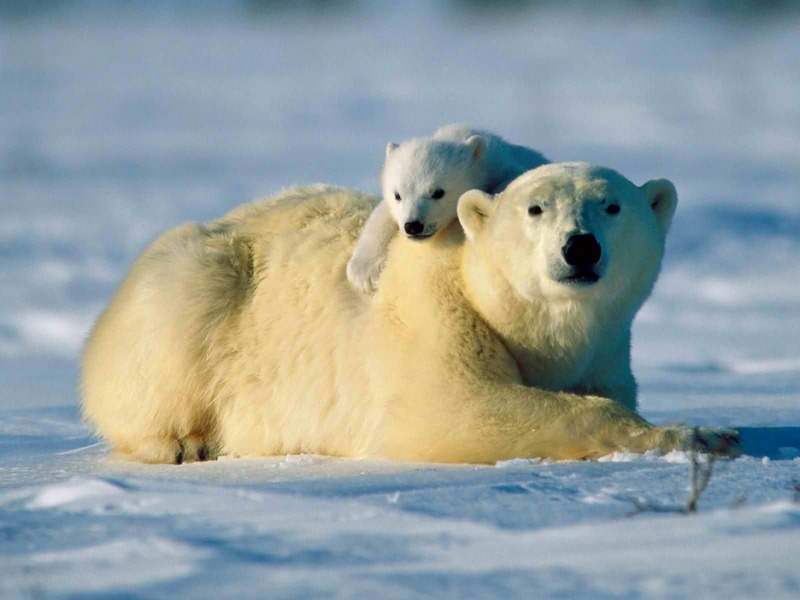 This energy efficiency can be felt each time you pay your electrical bill. LED outdoor lighting systems have longevity which is evident with longer lasting bulbs that need replacement less often. For example a typical halogen bulb will burn for approximately 2,000 to 4,000 hours, whereas an LED will last a whopping 50,000 operating hours! LED is a green burning technology because it leaves less of a carbon footprint on the environment. LED’s are responsible for less greenhouse gases by reduced carbon dioxide emissions. 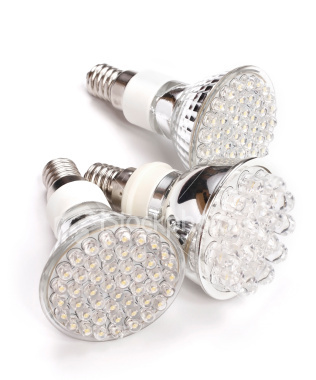 LED’s also contain no harmful chemical such as mercury that makes handling and disposal dangerous. LED’s are UV free which means no ultraviolet rays which are prone to attract insects. This means using LED in your landscape, deck and patio lighting installation will give you peace of mind in not attracting insects that can invade your outdoor living enjoyment. 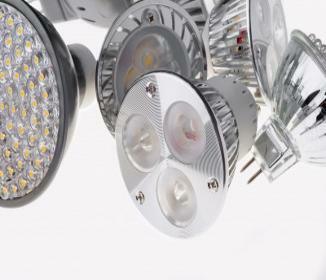 LED’s are more durable and resilient than ordinary lighting systems. They are shock resistant, and also react better to changes in temperature, weather conditions and repeated cycling. LED’s will better withstand the demands needed by a bulb placed in outdoor situations. LED lights are long-lasting, energy-efficient and among the safest lights on the market. 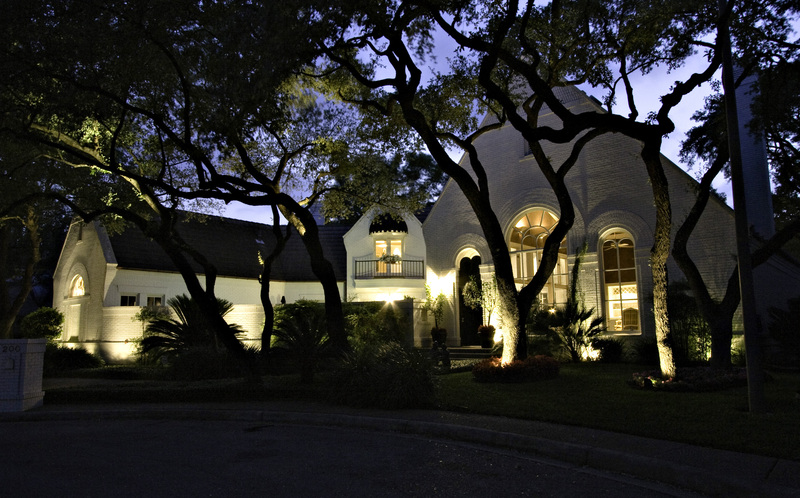 Outdoor Lighting Perspectives of San Antonio keeps up with the ever-improving changes in LED outdoor lighting. Over the last few years LED has become more accessible in terms of affordability and availability. It is true LED costs a little more up-front than a typical lighting system but the money you save on energy usage and bulb replacement will enable you to recoup those initial costs quickly. See more examples of LED outdoor lighting hard at work by visiting our outdoor lighting galleries, including our garden and landscape lighting gallery and deck and patio lighting gallery, by visiting our website. In today’s economic times, it pays more than ever to do comparison shopping. The same advice holds true when looking for a landscape lighting company to handle your landscape lighting needs. Reputation. How long have they been in business? Do they have references? Are they a member of the local Better Business Bureau? Type of Fixtures. Do they use a variety of fixtures based on the application, or is it “one type for all applications”? Do they use well lights for facade lighting? Do they do uplighting? Downlighting? Do they offer low voltage? Line voltage (household current)? Quality of Fixtures. Are they painted fixtures? Copper? Aluminum? Plastic? Warranty. What kind of warranty is offered on the fixtures? Is the warranty for at least ten years? Service Plan. Do they offer an annual maintenance plan? What does it consist of? Type of Transformer. Is the transformer a pluggable type? Is it a multi-tap? Is the timer built in or is it a separate unit? Lighting Control. How is the lighting controlled? Timer? Photocell? Lighting control from inside the home? Can I integrate my porch lights and existing lights/switches with the system? Night Time Demonstration. Do they offer a night time demonstration? Is it complimentary? Made in the USA. Are their fixtures made in the USA? Are they handcrafted? Dark Sky Compliant. Is their system Dark Sky Compliant? Outdoor Lighting Perspectives of San Antonio has been in business in San Antonio for almost two years, and is a proud member of the Better Business Bureau. The Our parent company, Outdoor Lighting Perspectives Franchise Corporation, has been in business for almost fifteen years, and has over 70 locations around the world. We use a variety of fixtures depending upon the specific application. We use well lights with large PAR-36 bulbs for lighting the façade, large trees, and other objects, smaller bullet type fixtures with MR-16 (projector style) bulbs for smaller shrubs, number signs, or statues. We use extruded PVC in the construction of our well lights, and all our path and specialty lights are made of solid copper. We never use painted or powder coated fixtures, as they still peel with time. We offer a one year warranty on our bulbs, assuming a normal operation time of sunset to approximately midnight; a ten year warranty on our fixtures; a lifetime warranty on our transformers; a two year warranty on our Lighting Control Automation. We offer an annual maintenance plan, where we will come and change all bulbs, rebury exposed wire, trim shrubs, treat with fire ant retardant, and check voltages and transformer operation to completely recondition the system for another year. Our transformers are all pluggable, multi-tap transformers, which allow us to use a variety of timing systems, especially our state-of-the art Lighting Control Automation. A multi-tap transformer allows us to fine tune the voltages at each fixture to be sure every one is between 11.0-11.5 volts. Because the timer is a separate system, a timer failure does not render the entire transformer unusable, as happens with the cheaper integrated timer/transformer systems you find at the box stores. 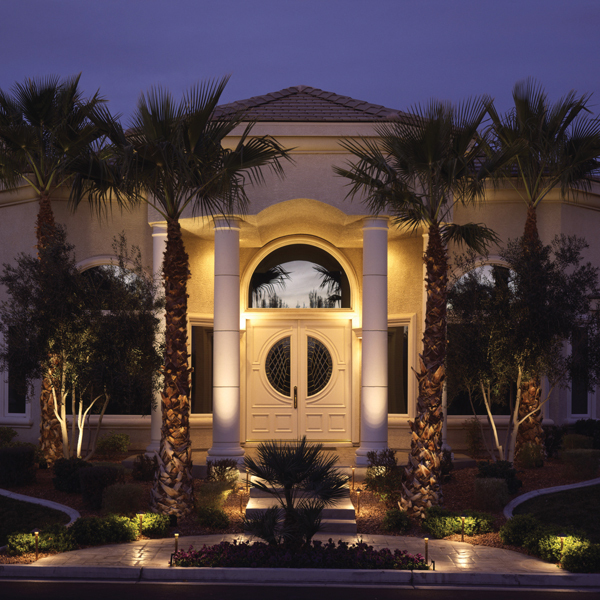 While we offer timers and photocells, our state-of-the-art Lighting Control Automation allows the homeowner complete control of the lighting from inside the home, along with allowing the integration of porch lights, security lights, and switches into the system, for an added level of home security. We always offer the homeowner a Night Time Demonstration, so they can see exactly what their home looks like with our lighting installed. All of our fixtures are handcrafted right here in the USA. Our low voltage systems are fully Dark Sky Compliant. For answers to addtional questions you may have, feel free to read our blog posts, visit our website, or call us at 210-971-8759 for more information.